Elizabeth Pudsey Dawson was born in England in 1894, and settled in New Zealand in 1925. She was a self-identified lesbian and supported herself with a small inherited income and by working as a physiotherapist. She also financially supported New Zealand writers, including Frank Sargeson and Janet Frame. Dawson is a rare example of a woman able to live a lesbian life in the early days, because she had family money and a career. 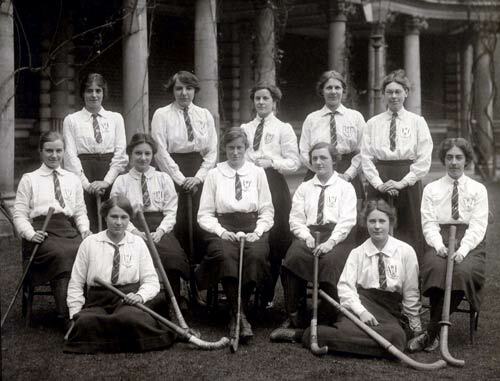 She is seen at far left in this photograph of a hockey team at the Royal Holloway University of London, around 1914.